When I decided that it was time to move schools (late 2012), I never knew my journey would take me to a dual-language school and therefore…the dual language world. I applied to countless schools and the job interviewing process was excruciating to say the least: panel interviews, written essays, second round of interviews, demo lessons, and final interviews. I remember I came to a point when I really questioned my teaching and doubted how ‘good’ of a teacher I really was. I recall telling myself that I must be definitely doing something wrong. Then, when I received the call to join MLC, I was ecstatic…I was on cloud 9. The idea of teaching in both languages was one that I had had for a while, but with the limited number of dual-language schools, I did not really think I had a shot. Now, a year has passed and I truly believe I had one of the best teaching years thus far. It is hard to explain, but from the very beginning I knew I had found the best setting: teaching in both languages! I remember the first few days in my classroom, and how much cleaning I had to do. The job of getting my classroom ready took longer than I had anticipated, but in the end the room was beyond what I had envisioned…a welcoming classroom. Don’t get me wrong, I do feel the year was AMAZING, but with it came countless hours of planning, translating, and hunting for resources which in the end I ‘ended-up’ creating myself. I started my blog, joined TpT, met other unbelievable dual-language teachers, and most importantly learned so much about myself as a teacher and as an person. I feel I have come to appreciate even more the gift of speaking more than one language and how marvelous the human brain is. When I see little kindergarteners speaking in Spanish, my heart bursts with joy. I remember many of them who could hardly speak any Spanish at the beginning of the year, and then how fluent they are – yes! fluent. 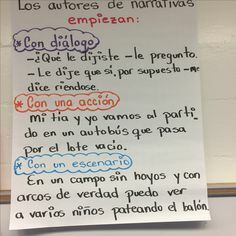 When I saw my students switching between languages with no effort whatsoever or when they were reading books in Spanish and English with ease, it really proved to me that the benefits of learning more than one language go BEYOND what we currently know or believe. I commend parents who chose the dual-language route, because honestly it is not the common choice or norm. The number of projects, writing pieces, Donorschoose projects funded, and math presentations my students were engaged in were out-of-this-world. Yes, I can think about the many times I said to myself ‘Ayayay, teaching in one language is so much easier.’ So, now that the year had ended and my students are gone, I cannot help but looking at my empty room and thinking about all the amazing memories we made together. I will surely miss my ‘first’ group of bilingual students. And as I close the door to this school year, I do so reflecting on what I did that worked, what did not work, and planning for what comes next. Summer has just started, but I am truly looking forward to next year and what surprises it may have for me. How do you like the Surface as a classroom tool? I've used the iPad but the Surface has always called out to me. I have to admit that before I knew or learned about the RT's (they are not Pros) I was all for Ipads. In fact I have 3 in my classroom, but they are very limited (even with the number of apps). The RT's are AWESOME, my students use them for research, the office suite and other programs that the Ipads just would not work with. 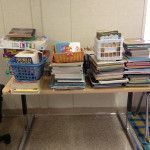 So, in essence – I LOVE THEM>>>>I am still learning about them and how to better use them in my classroom. That is one of my tasks this summer. Kelly, tus post me inspiran. 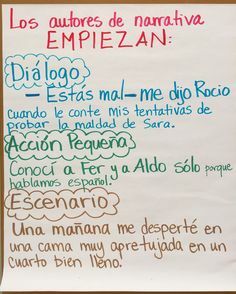 Como homeschooler bilingue tropiezo en usar un idioma o el otro. Este año ha sido mas facil solo usar ingles, especialmente teniendo edades diferentes. Estoy pensando en hacer un verano de Espanol en el que de una buena vez saltemos a la piscina y a nadar se dijo. Purito Espanol, Asi la proxima gestion podamos usar ambos idiomas de una forma mas natural. un abrazo! Millón gracias por tus palabras/comentario. 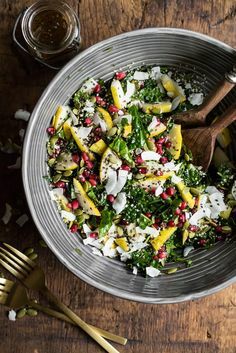 Me parece genial la idea de hacer el verano en español, por que si ya no te has dado cuento, nuestro niños/as optan por el ingles a cualquier momento. Así que mientras mas practica puedan tener en español, mucho mejor.